Facebook, believe it or not, has actually made virtual reality better, at least from one perspective. 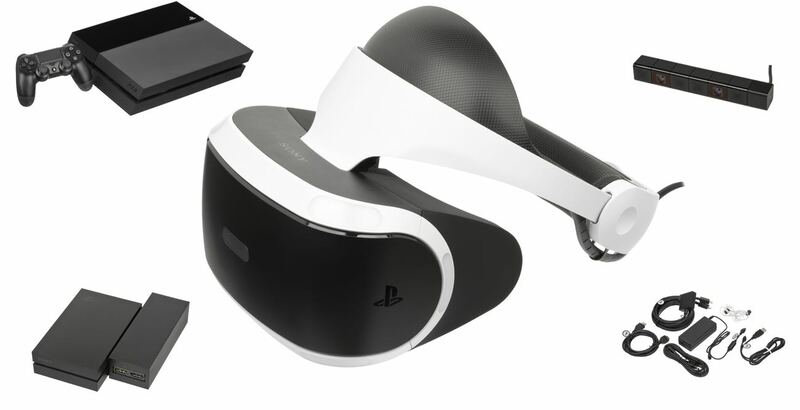 My first VR device was PlayStation VR, and the calculus was straightforward: I owned a PS4 and did not own a Windows PC, which means I had a device that was compatible with the PlayStation VR and did not have one that was compatible with the Oculus Rift or the HTC Vive. I used it exactly once. The problem is that actually hooking up the VR headset was way too complicated with way too many wires, and given that I lived at the time in a relatively small apartment, it wasn’t viable to leave the entire thing hooked up when I wasn’t using it. I did finally move to a new place, but frankly, I can’t remember if I unpacked it or not. 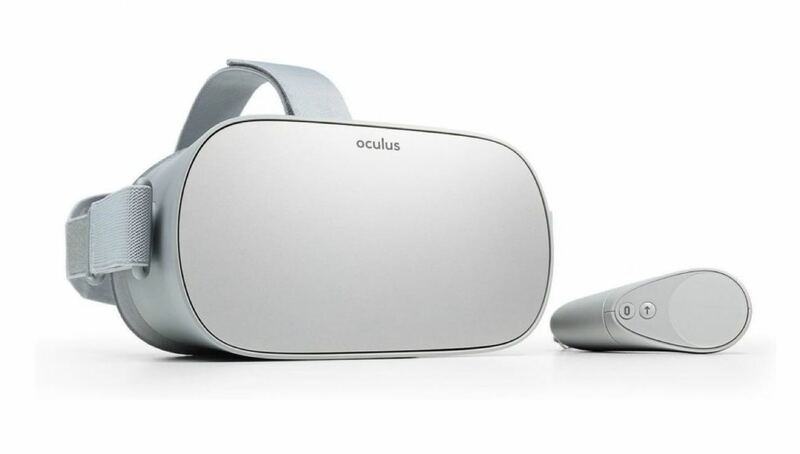 Then, earlier this year, Facebook came out with the Oculus Go. The Go sported hardware that was about the level of a mid-tier smartphone, and priced to match: $199. Critically, it was a completely standalone device: no console or PC necessary. Sure, the quality wasn’t nearly as good, but convenience matters a lot, particularly for someone like me who only occasionally plays video games or watches TV or movies. Putting on a wingsuit or watching some NBA highlights is surprisingly fun, and critically, easy. At least as long as I have the Go out of course, and charged. It’s hard to imagine giving it a second thought otherwise. That is the first challenge of virtual reality: it is a destination, both in terms of a place you go virtually, but also, critically, the end result of deliberative actions in the real world. One doesn’t experience virtual reality by accident: it is a choice, and often — like in the case of my PlayStation VR — a rather complicated one. That is not necessarily a problem: going to see a movie is a choice, as is playing a video game on a console or PC. Both are very legitimate ways to make money: global box office revenue in 2017 was $40.6 billion U.S., and billions more were made on all the other distribution channels in a movie’s typical release window; video games have long since been an even bigger deal, generating $109 billion globally last year. Still, that is an order of magnitude less than the amount of revenue generated by something like smartphones. Apple, for example, sold $158 billion worth of iPhones over the last year; the entire industry was worth around $478.7 billion in 2017. The disparity should not come as a surprise: unlike movies or video games, smartphones are an accompaniment on your way to a destination, not a destination in and of themselves. That may seem counterintuitive at first: isn’t it a good thing to be the center of one’s attention? That center, though, can only ever be occupied by one thing, and the addressable market is constrained by time. Assume eight hours for sleep, eight for work, a couple of hours for, you know, actually navigating life, and that leaves at best six hours to fight for. That is why devices intended to augment life, not replace it, have always been more compelling: every moment one is awake is worth addressing. In other words, the virtual reality market is fundamentally constrained by its very nature: because it is about the temporary exit from real life, not the addition to it, there simply isn’t nearly as much room for virtual reality as there is for any number of other tech products. This, incidentally, includes Facebook: the strength of the social network is counterintuitive like virtual reality is counterintuitive, but in the exact opposite way. No one plans to visit Facebook: who among us has “Facebook Time” set on our calendar? And yet the vast majority of people who are able — over 2 billion worldwide — visit Facebook every single day, for minutes at a time. The truth is that everyone has vast stretches of time between moments of intentionality: standing in line, riding the bus, using the bathroom. That is Facebook’s domain, and it is far more valuable than it might seem at first: not only is the sheer amount of time available more than you might think, it is also a time when the human mind is, by definition, less engaged; we visit Facebook seeking stimulation, and don’t much care if that stimulation comes from friends and family, desperate media companies, or advertisers that have paid for the right. And pay they have, to the tune of $48 billion over the last year — more than the global box office, and nearly half of total video game revenue. What may surprise you is that Facebook landed on this gold mine somewhat by accident: at the beginning of this decade the company was desperately trying to build a platform, that is, a place where 3rd-party developers could build their own direct connections with customers. This has long been the stated goal of Silicon Valley visionaries, but generally speaking the pursuit of platforms has been a bit like declarations of disruption: widespread in rhetoric, but few and far between in reality. So it was with Facebook: the company’s profitability and dramatic rise in valuation — the last three months notwithstanding — have been predicated on the company not being a platform, at least not one for 3rd-party developers. After all, to give space to 3rd-party developers is to not give space to advertisers, at least on mobile, and it is mobile that has provided, well, the platform for Facebook to fill those empty spaces. And, as I noted back in 2013, the mobile ad unit couldn’t be better. Setting aside implementation details for a moment, it’s difficult to think of a bigger contrast than a watch and an Occulus headset that you, in the words of [Facebook CEO Mark] Zuckerberg, “put on in your home.” What makes mobile such a big deal relative to the PC is the fact it is with you everywhere. A virtual reality headset is actually a regression in which your computing experience is neatly segregated into something you do deliberately. Zuckerberg, though, having first failed to build a platform on the PC, and then failing miserably with a phone, would not be satisfied with being merely an app; he would have his platform, and virtual reality would give him the occasion. This is a fascinating statement in retrospect. Of course there is the blithe dismissal of mobile, which would increase Facebook’s valuation tenfold, because Facebook was only an app, not a platform. More striking, though, is Zuckerberg’s evaluation that Facebook was now in a position to focus elsewhere: after the revelations of state-sponsored interference and legitimate questions about Facebook’s impact on society broadly it seems rather misguided. Oculus’s mission is to enable you to experience the impossible. Their technology opens up the possibility of completely new kinds of experiences. Immersive gaming will be the first, and Oculus already has big plans here that won’t be changing and we hope to accelerate. The Rift is highly anticipated by the gaming community, and there’s a lot of interest from developers in building for this platform. We’re going to focus on helping Oculus build out their product and develop partnerships to support more games. Oculus will continue operating independently within Facebook to achieve this. This is related to the reasons why Oculus and Facebook are in the news this week; TechCrunch reported that Oculus co-founder Brendan Iribe left the company because of a dispute about the next-generation of computer-based VR headsets; Facebook said that computer-based VR was still a part of future plans. But this is just the start. After games, we’re going to make Oculus a platform for many other experiences…This is really a new communication platform. By feeling truly present, you can share unbounded spaces and experiences with the people in your life. Imagine sharing not just moments with your friends online, but entire experiences and adventures. These are just some of the potential uses. By working with developers and partners across the industry, together we can build many more. One day, we believe this kind of immersive, augmented reality will become a part of daily life for billions of people. This, though, makes one think that TechCrunch was on to something. Microsoft, to its dismay, found out with the Xbox One that serving gamers and serving consumers generally are two very different propositions, and any move perceived by the former to be in favor of the latter will hurt sales specifically and the development of a thriving ecosystem generally. The problem for Facebook, though, is that the fundamental nature of the company — not to mention Zuckerberg’s platform ambitions — rely on serving as many customers as possible. I suspect that wasn’t the top priority of Oculus’s founders: virtual reality is a hard problem, one where even the best technology — which unquestionably, means connecting to a PC — is not good enough. To that end, given that their priority was virtual reality first and reach second, I suspect Oculus’ founders would rather be spending more time making PC virtual reality better and less time selling warmed over smartphone innards. Still, I can’t deny that the Oculus Go, underpowered though it may be, is nicer to use in important ways — particularly convenience — that are serially undervalued by technologists. As I noted at the beginning, Facebook’s influence, particularly its desire to reach as many users as possible and control the entire experience — two desires that are satisfied with a standalone device — may indeed make virtual reality more widespread than it might have been had Oculus remained an independent company. What is inevitable though — what was always inevitable, from the day Facebook bought Oculus — is that this will be one acquisition Facebook made that was a mistake. If Facebook wanted a presence in virtual reality the best possible route was the same it took in mobile: to be an app-exposed service, available on all devices, funded by advertising. I have long found it distressing that Zuckerberg, not just in 2014, but even today, judging by his comments in keynotes and on earnings calls, seems unable or unwilling to accept this fundamental truth about Facebook’s place in tech’s value chain. Needless to say, 2016 suggests that the results of this approach are not very promising: when our individual realities collide in the real world the results are incredibly destructive to the norms that hold societies together. Make no mistake, Zuckerberg gave an impressive demo of what can happen when Facebook controls your eyes in virtual reality; what concerns me is the real world results of Facebook controlling everyone’s attention with the sole goal of telling each of us what we want to hear. The following years have only borne out the validity of this analysis: of all the myriad of problems faced by Facebook — some warranted, and some unfair — the most concerning is the seeming inability of the company to even countenance the possibility that it is not an obvious force for good. Again, though, Facebook aside, virtual reality is more compelling than you might think. There are some experiences that really are better in the fully immersive environment provided by virtual reality, and just because the future is closer to game consoles (at best) than to smartphones is nothing to apologize for. What remains more compelling, though, is augmented reality: the promise is that, like smartphones, it is an accompaniment to your day, not the center, which means its potential usefulness is far greater. To that end, you can be sure that any Facebook executive would be happy to explain why virtual reality and Oculus is a step in that direction. That may be true technologically, but again, the fundamental nature of the service and the business model are all wrong. Anything made by Facebook is necessarily biased towards being accessible by everyone, which is a problem when creating a new market. Before technology is mature integrated products advance more rapidly, and can be sold at a premium; it follows that market makers are more likely to have hardware-based business models that segment the market, not service-based ones that try and reach everyone. Critically, Apple also has the right business model: it can sell barely good-enough devices at a premium to a userbase that will buy simply because they are from Apple, and from there figure out a use case without the need to reach everyone. I was very critical of this approach with the Apple Watch — it was clear from the launch keynote that Apple had no idea what this cool piece of hardware engineering would be used for — but, as the Apple Watch has settled into its niche as a health and fitness device and slowly expanded from there, I am more appreciative of the value of simply shipping a great piece of hardware and letting the real world figure it out. That there gets at Facebook’s fundamental problem: the company is starting with a use case — social networking, or “connecting people” to use their favored phrase — and backing out to hardware and business models. It is an overly prescriptive approach that is exactly what you would expect from an app-enabled service, and the opposite of what you would expect from an actual platform. In other words, to be a platform is not a choice; it is destiny, and Facebook’s has always run in a different direction.